"A genuinely original position on a historically significant cultural issue." Screen use is slowly but surely eclipsing our relationships with both the physical world (nature) and each other. No where is this more evident than in children. 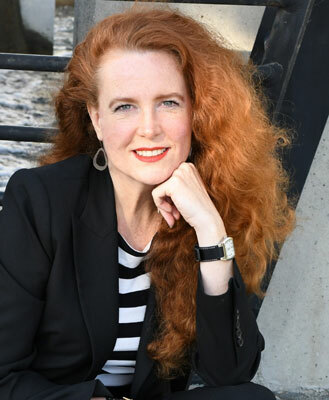 In her pivotal books and lectures, Dr. Mari Swingle critically examines the effects of constant connectivity and screen-based technologies on the developing brain, behavior and the evolution of our species. She promotes the relative imperative of all of us (but especially children) maintaining what she calls face-to-face and heart-to-heart relationships AND a physical rather than virtual relationship with nature. --Not only for our own physical and emotional health but for the health of the planet. Her explicit concern is our assimilation of technologies in parenting, education and play long before we understand their effects on our mental and physical health, socialization and development. To this end, she continuously examines the emergent state of science and the ever-evolving evidence of social, emotional and cognitive alteration in infants, children, adolescents, and young adults through to elders. She also explores, and frequently challenges, the counter argument promoting the early and continuous use of technology. She is not anti-technology, anything but… Rather Dr. Mari Swingle is pro-knowledge. Her mission: Informed choice. To help all of us, in all of our multiple roles, as parents, partners, friends, lovers, educators, workers, employers, politicians and rule-makers, and yes, children too, remain masters not servants to the technologies we use ourselves and thereafter bequeath generations to follow. Dr. Mari Swingle is a practicing clinician, researcher, writer, presenter and author of i-Minds: How Cell Phones, Computers, Gaming and Social Media Are Changing Our Brains, Our Behavior, and the Evolution of Our Species and i-Minds 2.0 (Second Edition): How and Why Constant Connectivity is Rewiring Our Brains and What to Do About it (available April 2019). She practices in Vancouver, Canada, and speaks locally and internationally to professionals and the general public on the topic of health and happiness in the digital age. You can see her next presentations at the 50th AAPB Conference (Denver, US), The Childhood Summit (Keynote Speaker) – Brisbane, Australia, Sold Out Public lecture (Perth, Australia), Children & Nature Network Conference (Oakland, CA) and Thompson Rivers University (BC, Canada). Dr. Mari is a 2015 Winner of a Federation of Associations of Brain and Behavioral Sciences (FABBS) Early Career Impact Award for her ‘major research contributions to the sciences of mind, brain, and behavior’ … ‘and increasing awareness of research through media and public outreach’. 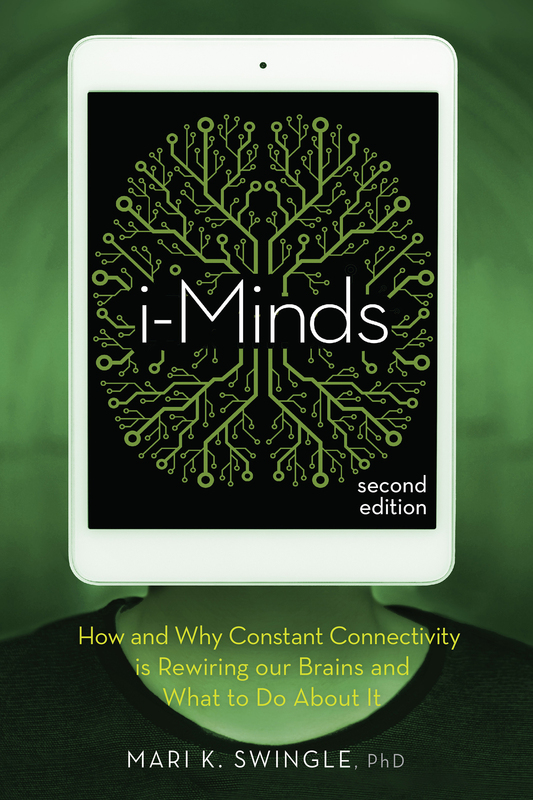 Get your copy of i-Minds today!